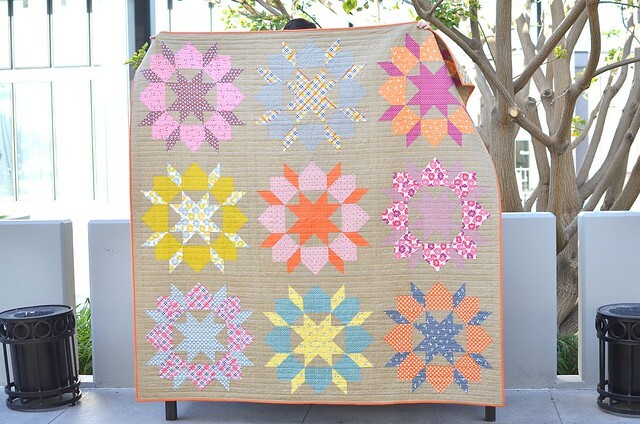 This little baby quilt (using Camille's Mini Swoon pattern) is the reason you haven't seen much from me lately. It may be small, but it has taken me FOREVER. I have had some family in town twice since I started working on these blocks so that definitely made things go a little more slowly, but it has taken more than two weeks to finish these up. Good thing they are cute! I am still planning on adding a border to the edges, but I was out of energy last night and was just pleased to finally get the quilt top put together. 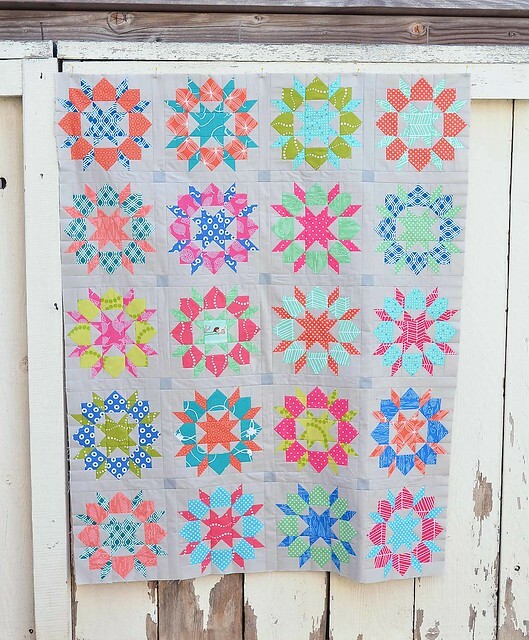 Making this little quilt top definitely took longer than making my big Swoon quilt top! This quilt is going to have to be set aside for a few days while I make my Schnitzel and Boo mini quilt for the swap and get my June blocks finished up. 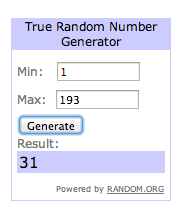 And the winner of the Southern Fabric gift certificate is . . .
Congrats Barbara! You will be getting an email soon. It's gorgeous! I don't think 2 weeks is too long! Those are gorgeous. And I take much longer just to do simple (squares & rectangles) piecing. This quilt is incredible! I love it! It's so gorgeous Erica! I'm sure a small swoon block must take just as long as a big one, so I'm not surprised that it look you longer than your big quilt. Your friend must be a really great friend to be getting this beauty! As well as the blocks, I love the really subtle cornerstones in the sashing - nice choice. Oh, the baby Swoon is fantastic! I love the colors you chose! Looks great! I can see why it took forever! Both swoons are great, but those little ones are so sweet! And the one with the fussy cut is a nice focal point. These are awesome! I love your color choices and the solid is such a great fit! Beautiful! Gorgeous! What size are the mini Swoon blocks? Love the "mini Swoon" but I can see it might take a while to piece all those small pieces. Great colors, this is so pretty!